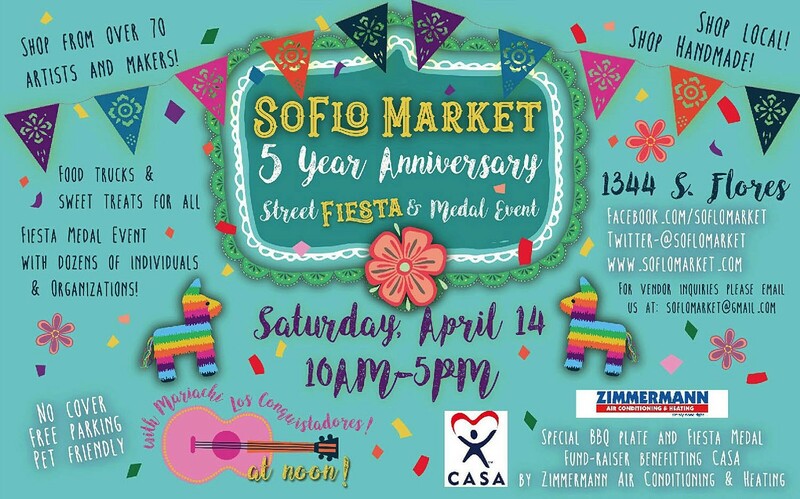 Come celebrate the SoFlo Market's 5th year anniversary with a street Fiesta, mariachis, special performances and cake. In addition, the event will be featuring the market's 2nd annual Fiesta Medal event. Zimmermann Air Conditioning and Heating are having a special BBQ plate and Fiesta medal fundraiser sale that benefits CASA.